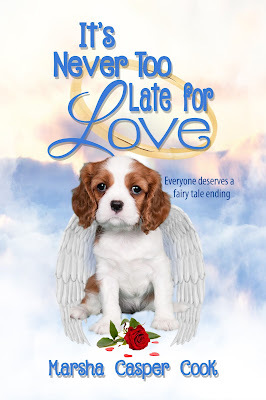 Blurb: Confirmed bachelor Noah Meyers thinks living his life without a wife is just fine and manages to dodge his meddling motherâs repeated attempts to fix him up. 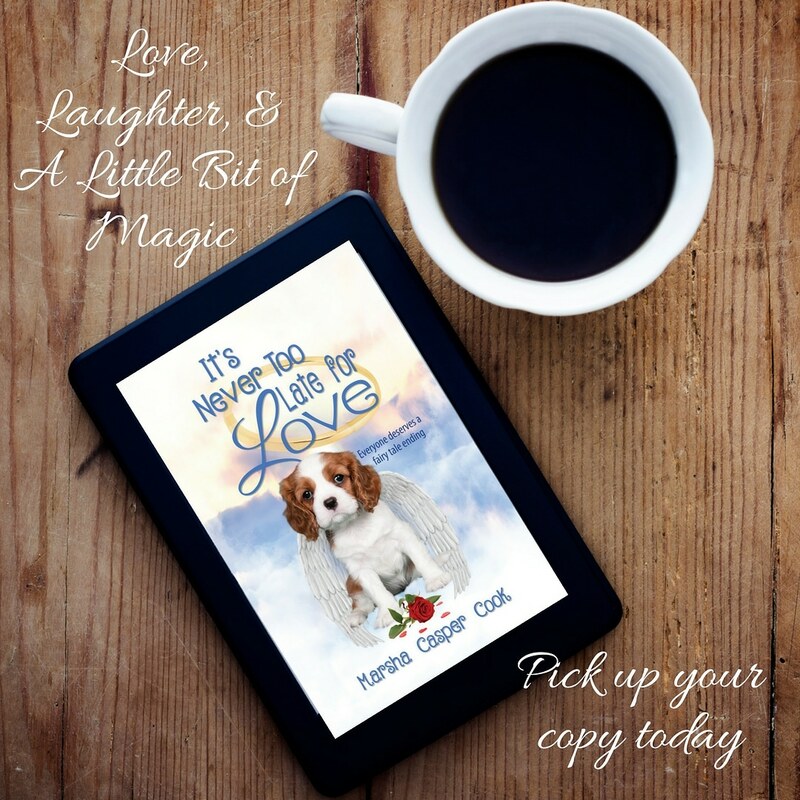 Itâs Never Too Late For Love is a timeless and delightful love story filled with a lot of laughter and just a hint of magic. 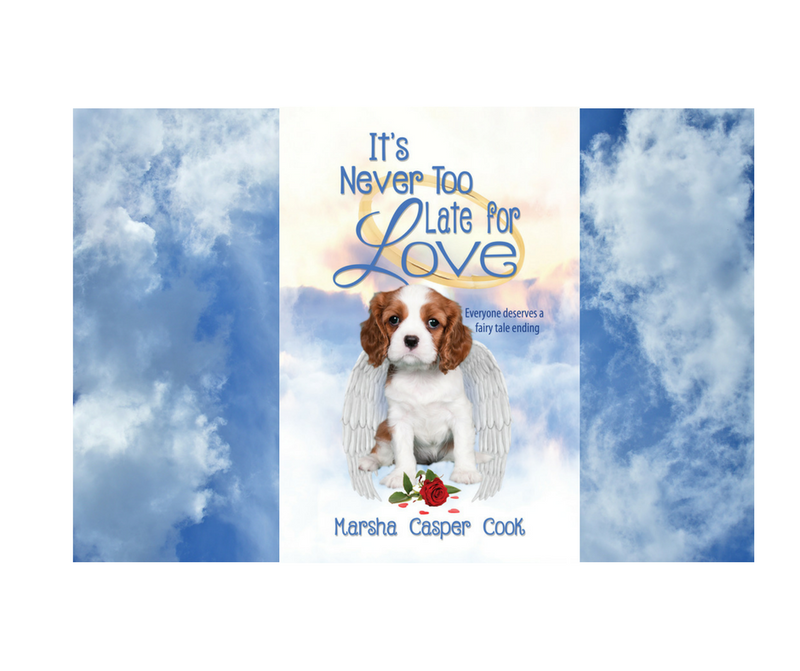 From romance and inspirational to adventure and fiction, Marsha has more than 20 years of experience in the writing industry. Overall, there are 12 books, five of which are children's and 11 feature-length screenplays published and written under her name. Several of her screenplays have been optioned by Production Companies. She has a lot of fun with her writing and with her latest romantic comedy, It's Never Too Late For Love, she has decided to use this book as the start for a new series featuring Gracie, as dog that is not only an angel, but she talks. She is also the founder of Michigan Avenue Media and a partner of the World of Ink Network where she does her podcast, A Good Story Is A Good Story. Marsha is not only the host she currently produces all the Podcasts. Her shows are about writing and what's new in the entertainment field.